Text books and related training materials. As part of our commitment for the advancement of and support of professional interpretive training, we are pleased to offer many interpretive resources to interpreters world-wide. Most of these materials are used in our many Interpretive Training Courses and are given to participants enrolled in these courses, such as our e-text books. So this resource center is divided into two main sections - one for our text books which can be purchased, and one for our many publications which are available FREE OF CHARGE - as a service to advancing the interpretive profession. For information on our training courses and book store, cut and paste the links below. Interpretive Resource Articles, Manuals and Technical Bulletins. These materials are all provided to you FREE OF CHARGE, and will be sent to you as an e-mail attachment. Just send me an e-mail as to which article(s) you would like and I will send it to you. - Interpretation as a Management tool (article). - Interpreting Cemeteries and Gravestones (article - many pics). - Tips and Concepts for planning truly "Interpretive" Exhibits (JVA Technical Bulletin). 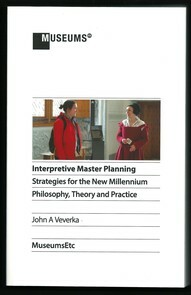 - Interpretive Master Planning - content outline. 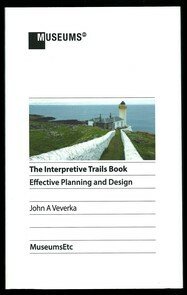 - Interpretive Planning for "Exportable" Interpretation - ideas to go away with. (article). - Interpretive Planning for the next millennium -,The "product of the product" - "outcome based planning" and the "experience economy". - Using interpretive themes and objectives will make your program planning easier and more effective. (article). - Is your scenic byway sustainable? (article). - Why Your Scenic Byway Can't Succeed without "Real" Interpretation (article). - Marketing Basics for Interpretive & Heritage Sites and Attractions - It's all about the visitors. (article). - Planning for Interpretive Training Courses (article). - Planning for Interpretive Walking Tours (article). - Ten things to consider when selecting or hiring an "interpretive" consultant (article). - What is Interpretation? 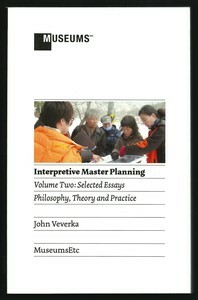 An overview of Interpretive Philosophy and Principles (article). - Why heritage sites need interpretation for their long-term survival (article). - Why National Nature Reserves need interpretation for their long-term survival (article). - Advancements in Interpretive Planning... Concepts for What Interpretation "Can Be"! (conference paper/presentation). - Broads Authority National Park (UK) Interpretive Graphic Standards (Technical Manual). US Army Corps of Engineers - Interpretive Graphic Standards (from their sign manual). - US Army Corps of Engineers - Interpretive Services Course Manual. Guidelines and Template Resource Guide For Interpretive Projects. - That Art of Critiquing and Coaching Interpreters. (article). - When is Interpretation NOT Interpretation? (article). - Principles of "Real" Interpretive Writing (article). - US Army Corps of Engineers Visitor Center Evaluation Strategy (technical manual - final draft for evaluation of visitor centers - from parking lot to individual interpretive exhibits). - Exhibit evaluation for Children's Exhibits The Kirby Science Center Experience. (article). - Interpretation as a Management Tool. (article). - Revealing the "rest of the story" through Art Museum Interpretation... Why art often needs an interpreters touch to be really understood.(article). 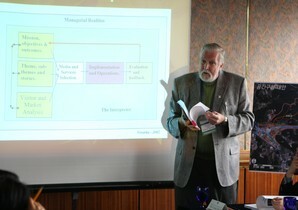 - Interpretive Master Planning Keeps Your Garden Growing (article). (Interpretive planning for botanical gardens). - Developing Interpretive Plans for Landscape Museums (article). - Visitor Informal Contacts and Outreach Program Development Course Resource Manual (draft). - Planning for Interpretive Playgrounds (article). 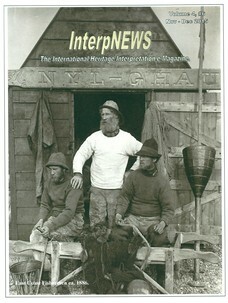 InterpNEWS - The International Heritage Interpretation e-magazine. 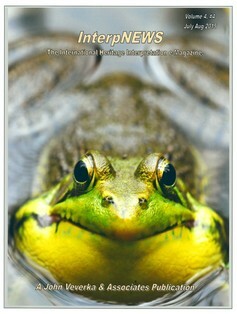 Current and back issue of InterpNEWS are available. 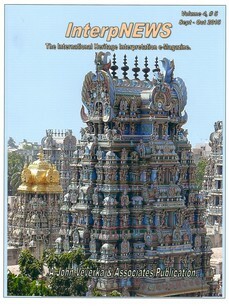 IN is the most widely read of any interpretive publication reaching over 156,000 in 38 countries. IN would be sent to you as a PDF attachment. July/Aug (left), Sep/Oct (center), issues - Nov/Dec issue (right - is currently in development). Let me know which one you would like. Note that as these are large PDF files, be sure your e-mail box can accept large file attachmets. More to come as we continue to work to add and expand the resource center, to include copies of completed interpretive plans for reference, completed design projects, and related materials. We will also add new articles and handout materials as they become available.